Prabhu Deva’s directorial skills have been raved about as he has been churning out one hit after another. He has in fact been successful in all three languages – Tamil, Telugu and Hindi. 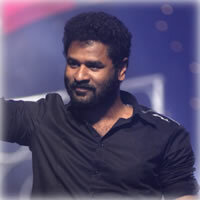 The buzz in Kollywood is that Prabhu Deva will shift back to Chennai to direct a Tamil film with Jayam Ravi in the lead. There were reports that he would direct a Hindi film once again with Salman Khan, a sequel to their recently released Wanted. But prior to that, the director-choreographer-actor Prabhu Deva will wield the megaphone for the Jayam Ravi starrer. More details on this project are awaited.